Kicking off early in the day with Lot 28, the Manhattan Rain colt was secured from the draft of Fairhill Farm (As agent). Purchased in conjunction with Gai Waterhouse and Adrian Bott, the colt is out of a Danasinga half-sister to Pottinger and comes from the family of Group 1 winner Sky Cuddle. Twenty lots later the team was back in action with Glastonbury Farms (as agent)’s Lot 48, the exciting More Than Ready colt out of the Bel Danoro mare Ma Joie, from the family known all too well to Waterhouse as Sunday Joy and More Joyous are in the family, as is another Group 1 winner trained by the stable in the All Aged Stakes winner Arlington Road. From the draft of Musk Creek, the very vendor that Waterhouse purchased Pierro from, Blue Sky Bloodstock and the Waterhouse/Bott team secured a Lot 58, a colt by Hinchinbrook. From a family know all too well to her trainer, this colt is out of a half-sister to the dam of Group 3 winner Sweet Redemption, and is also grandson of the Group 1 Flight Stakes winner Danglissa, both trainer by Waterhouse. 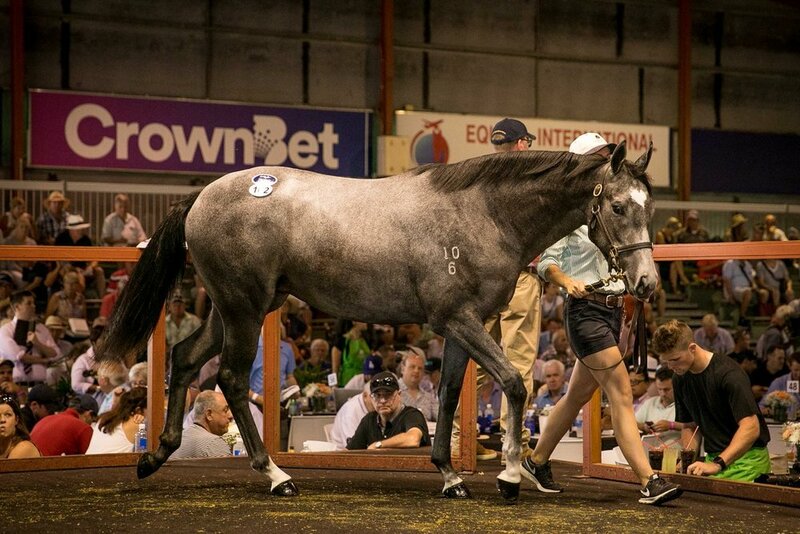 Everybody loves a grey, and Lot 102 fitted that bill. Purchased in conjunction with the Waterhouse and Bott training partnership as well as Andrew Williams Bloodstock, the Newhaven Park secured filly is by Champion Sire More Than Ready out of the Intikhab mare Moone's My Name, a Listed-winning, Group 3 placed half-sister to Listed winner Baby Strange. No Evidence Needed was a tough and consistent Group 2-winning, Group 1 placed daughter of Shamardal and her Sniztel colt from the draft of Baramul Stud who sold as Lot 133 was a must have for the buying partnership. By a Champion Sire out of a Group 1-winning mare who has already produced a stakes performer, Lot 172 from the draft of Coolmore was one the partnership was not going to let slip through. The imposing colt by Fastnet Rock is out of the Group 1 Tatt’s Tiara winner Pear Tart, and her first foal, a full-sister to this colt is he Group 2 performed Italia Bella. It is also the family of I Am Invinvible’s Group 1 winner I Am A Star and Dubawi’s Champion Erupt. A few lots later Lot 178, a New Zealand bred colt by Holy Roman Emperor out of the Encosta de Lago mare Phocis was secure for a Blue Sky Bloodstock client. From the family of Group 1 winner Just Momente and Vancouver, the well-related colt comes from an exciting speed family. The final purchase of the day came towards the end of the session when Waterhouse and Bott teamed up once again with Blue Sky Bloodstock for Lot 237, the I Am Invincible colt out of the stakes winner Rich Megadale. 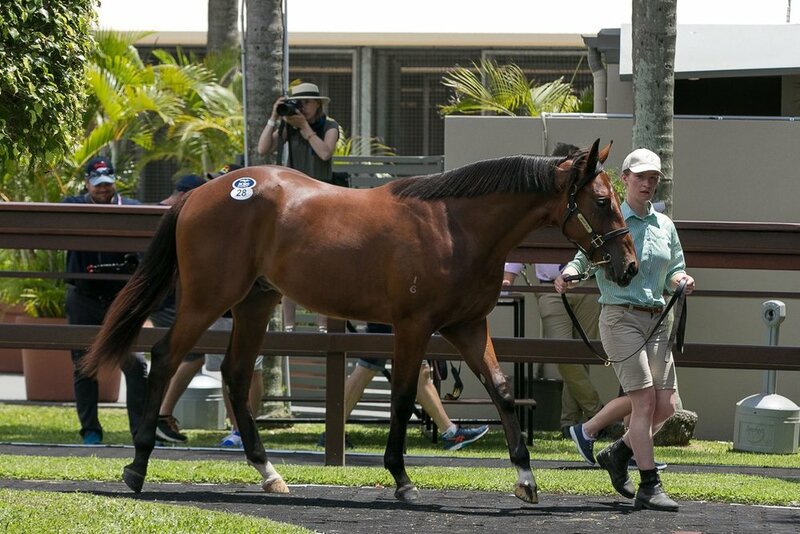 Secured for the 2018 Blue Sky Bloodstock Colt Club, the colt is the first purchase for the club, but wont be the last, with another nine colts to be purchased throughout the yearling sale season. Stay tuned for more purchases on Thursday from the Blue Sky Bloodstock team, and if you have any questions on any of the yearlings purchased, please click HERE for out Contacts. Watch a review of day 1 of the Magic Millions Yearling Sale by Blue Sky Bloodsotck's Julian Blaxland and Tom Seymour below.